Early Wednesday morning’s 4.5 magnitude earthquake was felt across southern Quebec, and beyond. Many people I’ve spoken to described the sensation as a truck driving right up their front lawn and into the house. The tremor and rumbling continued shaking for what considered an awful long time, probably 15 seconds or so. And then it was quiet, again. Another night of rest. A regular morning wake up. But what if things happened differently? What if your alarm clock didn’t buzz because there was no power? And your refrigerated food was no longer cold. What if you had no running water? No phone. No communications. No heat. Would you know what to do to handle the unfolding emergency in your own home? Our experience, for example during the last widespread emergency in the 1998 Ice Storm, indicates that we are too complacent, relying fully on our technology, our authorities and our government. We do not anticipate what can go wrong and we do not adequately prepare for ourselves. However, those of us involved in emergency preparedness and crisis management repeat the same mantra that it is not a matter of IF, it is a question of WHEN. This earthquake is a kind of wake up call (pardon the pun). It is a reminder that we must always be prepared for the unexpected. It is also a great coincidence that it happened during National Fire Prevention Week when we are called to test our own emergency plans within our homes, to test our kids in evacuation procedures, to stock non-perishable food supplies, water, first-aid and medication. 72 Hours is an excellent emergency preparedness guide that is essential for every household in Canada. Download the guide and prepare yourself and your family to manage during the first 3 days of any major emergency. Prepare an evacuation plan in case of fire in your home and conduct your own fire drill with everyone in your home. Here’s a useful tool to create a family emergency plan. Learn how to take care of yourself and your neighbours. Prevention and preparation are critical keeping you and your family safe. 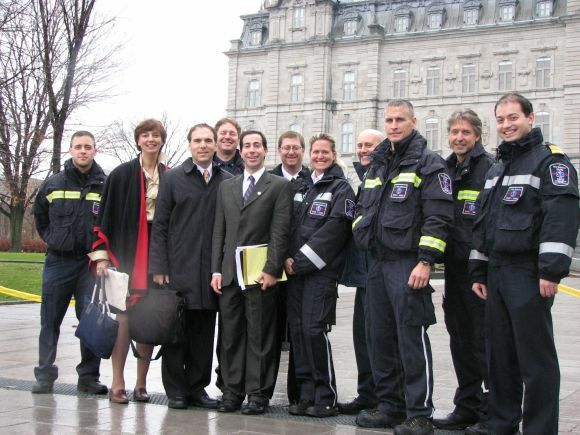 Is Montreal ready for emergencies? The Richelieu Valley’s freak flooding, causing mayhem for hundreds of homeowners, shows what can happen when municipalities don’t anticipate the sort of extreme weather events that climatologists say could become much more common. Chicago, having learned its lesson from a 1995 heat wave that contributed to the deaths of about 500 people, has become a leader among North American cities in preparedness against various kinds of extreme weather. Is Montreal doing enough? This city’s vulnerability to weather extremes is plain. Last July’s heat wave, according to public-health authorities, precipitated the deaths of 106 people. Also last summer, tornadoes – ultraweak and undestructive – were spotted in Ste. Anne de Bellevue and the northern suburb Mascouche. No one will forget the 1997 rainstorm and the 1998 ice storm. And lest anyone smugly assume that the city’s remoteness from the coast gives it immunity to those increasingly severe hurricanes, bear in mind that Hurricane Hazel in 1954 blasted a city far more inland than us, Toronto, drenching it with 11 inches of rain and causing 83 deaths. To be sure, no single weather event, including the Richelieu River’s overflow, can be blamed on human-made greenhouse-gas emissions, but most scientists say increasing emissions contribute to the overall trend. –Extending water-intake pipes farther into the St. Lawrence River in anticipation of lower water levels. –Repairing leaking under-ground pipes carrying drinking water. This will, among other things, help in the event of future water shortages. DeSousa estimates that leakage caused the loss of 40 per cent of water a decade ago, that this is now down to 30 per cent, and that it should be at about 20 per cent by 2015. –Obliging all new-building and renovated basements to install backwater valves, according to a bylaw effective in July. At times of heavy rain, these devices prevent sewers from backing up. –Planting more shade trees to cool the territory and absorb rainwater, and encouraging vegetation on roofs. –Bracing for the latest in-vasive species, the ash borer beetle, by ceasing as of last spring to plant its favourite food, ash trees, along Montreal streets. The insect has already killed tens of millions of such trees in the U.S., and warmer weather has brought it to southern Quebec. Ash trees are second only to maples as the most common tree on streets and in parks. –Imposing new rules for off-street parking spaces in St. Laurent, where DeSousa is borough mayor. Asphalt parking lots absorb heat and don’t absorb rainwater, contributing to flooding. A 2009 borough bylaw reduces the number of parking spots required per building (thus also encouraging use of public transit), shrinks the size of each spot by five per cent, requires shade trees to cover 40 per cent of new spots and authorizes the use of permeable paving to replace asphalt. Chicago is doing some of the same things as Montreal, such as building underground storage tanks for rainwater. But, as the New York Times reports, it is also doing a lot of other things. In anticipation of a hotter future, it has stopped planting native Illinois species of trees and is replacing them with varieties from the southern U.S. It is planting those trees a foot or so below the surface sidewalks so that rainwater can readily drain into them. It is also seeding these sunken areas with special weeds that resist drought, absorb water and filter de-icing salts. Most ambitiously, Chicago is also redesigning its streets. When it builds bike lanes and parking lanes, it introduces light-reflecting surfaces that reduce heat. Fragments of recycled tires are in this asphalt, allowing the pavement to contract in winter without cracking, and expand in summer without buckling. Chicago gets a lot hotter than Montreal, which helps explain its being in the vanguard. But if the climatologists are right, Montreal can expect to get much, much hotter, too. Getting more prepared is a sound investment; Millions spent today can save billions down the road. The Ice Storm of ‘98 will be remembered by all in our region for a very long time. The wrath of Mother Nature evoked the worst fears and anxieties many of us have ever faced in our lives. As unbelievable as it was, we likened the experience to media coverage we have seen of Beirut or Sarajevo. Who could have imagined that a metropolitan region of millions of people could be brought so close to the brink of disaster? It is astounding to think that in our very own city we were actually deprived of electricity, drinking water, radio stations, and cash from automatic tellers while roads, highways, bridges, railways and runways were shut down bringing all forms of transportation to a halt. The widespread destruction of countless thousands of mature trees and the debris strewn about our streets was a horrifying sight. Just a month ago could you have imagined lineups at your local grocer for bread and bottled water, searching for a gas station that had gas, let alone abandoning your house to bring your family to a shelter, sleeping in army cots, 200 in a room? Yet, despite the pain, anguish and hardship that everyone faced, their was a strong will to pull through this madness – together. Neighbour helped neighbour. Stranger helped stranger. There were no barriers of language, of politics, of religion. We all pulled through as one strong community. 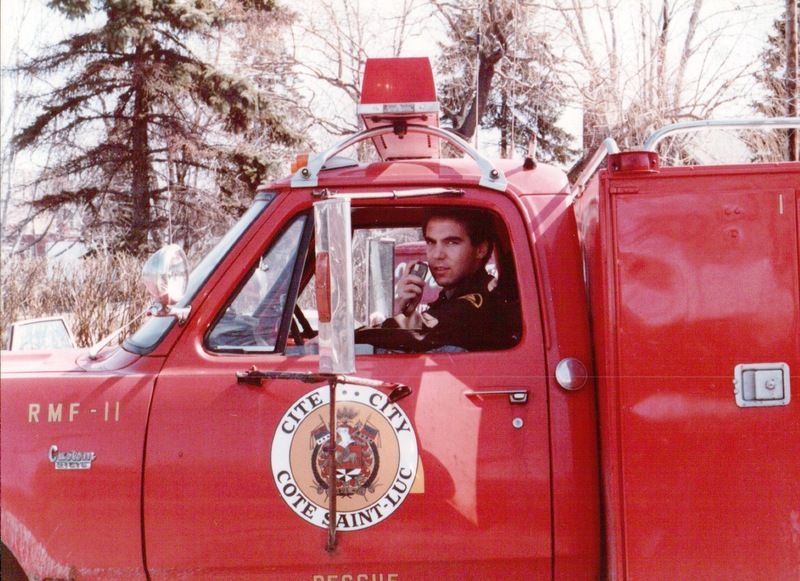 My reflection and review of the emergency management in Cote Saint-Luc, probably not dissimilar from many smaller cities and towns, is one of great admiration and appreciation for the hundreds of individuals that performed with the spirit and dedication of an Olympic team. We overcame the odds of disaster, comforted hundreds in dire situations and returned the community to a sense of normalcy. In normal times the City Councillors are preoccupied with policy, lawmaking and steering the community toward the future. Civil servants are busy with their departmental responsibilities while firefighters train and practice and wait for the alarm to sound. Police officers patrol and enforce the law and public works crews fill their shifts maintaining parks, roads, sidewalks and city infrastructure. The schools are busy with students, synagogues are readying for prayer and parties and health care providers are visiting with the elderly, sick, injured and needy. But just a few weeks ago the normal ceased to be. All of a sudden a crisis situation developed which required otherwise busy people to come together and offer a coordinated, integrated and rapid solution to help those in our community who found themselves suddenly in desperate need. Local politicos, city staff, blue collars, emergency crews and health care professionals blended with community institutions and organizations to respond swiftly to the crisis and to assist our residents. Within hours the Municipal Emergency Operations Committee was convened at Cote Saint-Luc City Hall to coordinate information, services, personnel, equipment and supplies. This was to be the first meeting of twice daily gatherings of community leaders and professionals. 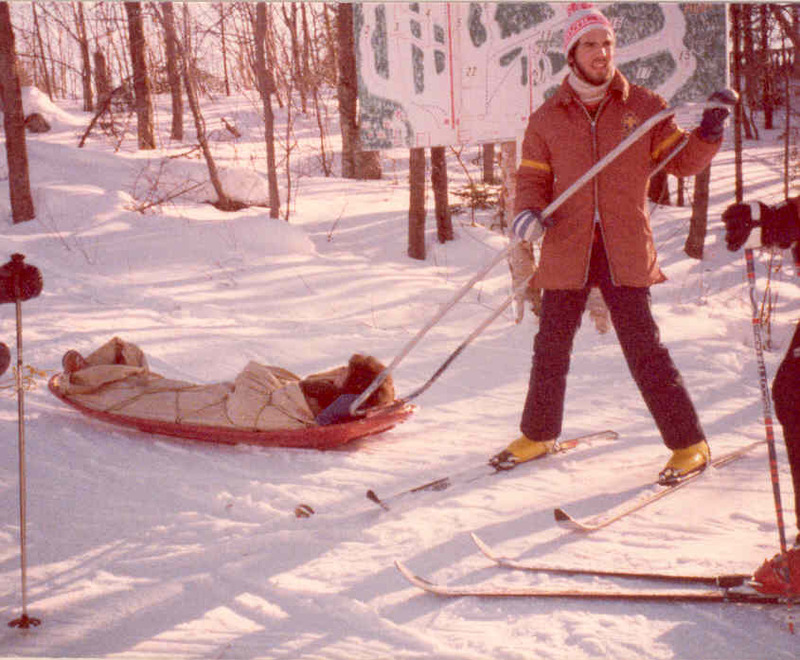 The first of four shelters was set up at the onset so that no resident would have to spend even one night in the dark, cold confines of a powerless home. Almost miraculously food and bedding was arranged so that residents would be as comfortable as possible at Hotel City Hall. Daytime shifts for firefighters and public works crews turned into endless hours as workers cast aside their own personal emergencies in order to safeguard the residents of our city. 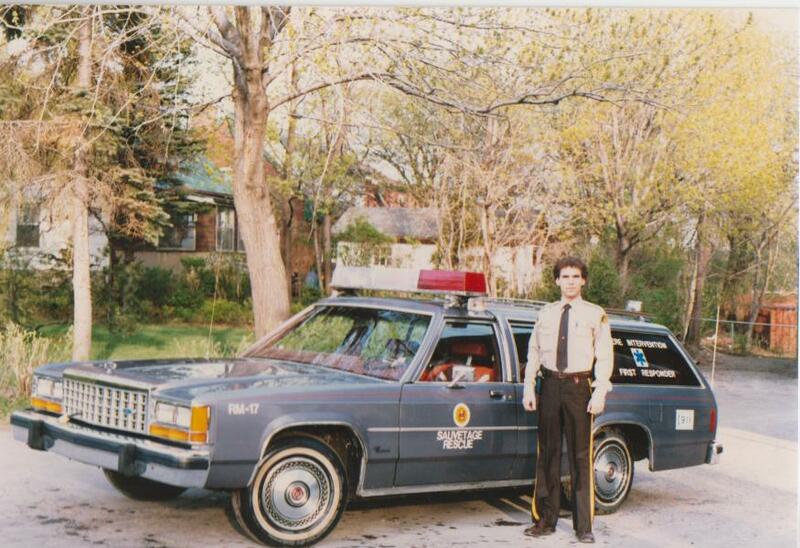 Unprecedented in the twenty-eight years of the Montreal Urban Community, its police service was put into emergency operations and each and every officer was called in for assignment. Neighbourhood policing was put to the ultimate test and passed with flying colours. Squads of officers on commandeered MUCTC buses traveled from building to building evacuating cold and frightened apartment dwellers and delivered them with care and compassion to the care-givers at the shelters. 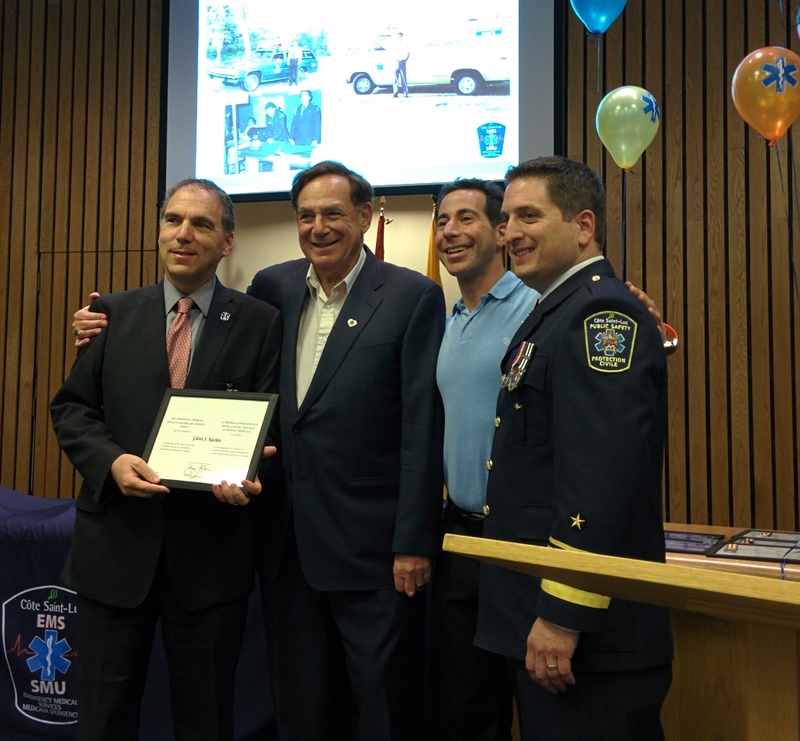 Years of training and preparation was clearly evident as Cote Saint-Luc’s all-volunteer Emergency Medical Services sprang into action. 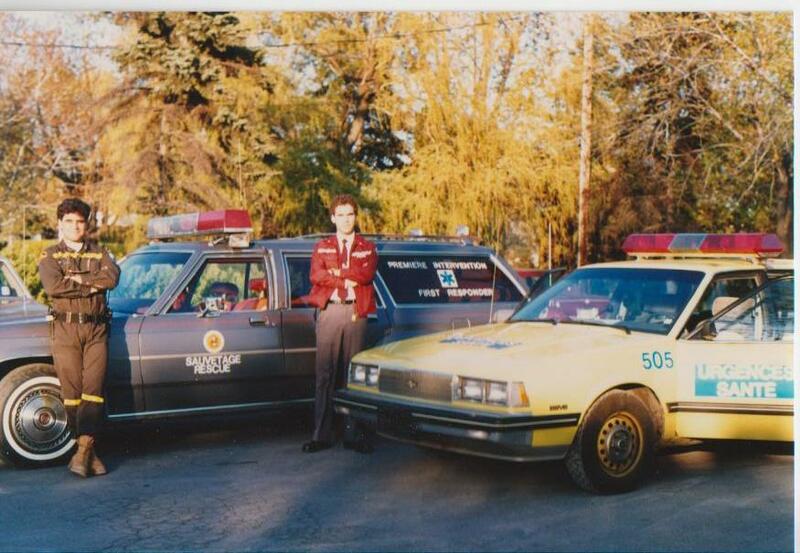 No more than a phone call or beep on one’s pager was needed to activate dozens of loyal and eager volunteers who manned first responder squads around the clock helping with everything from emergency 911 calls to building evacuations, shelter rounds to patrolling the streets for residents in distress. 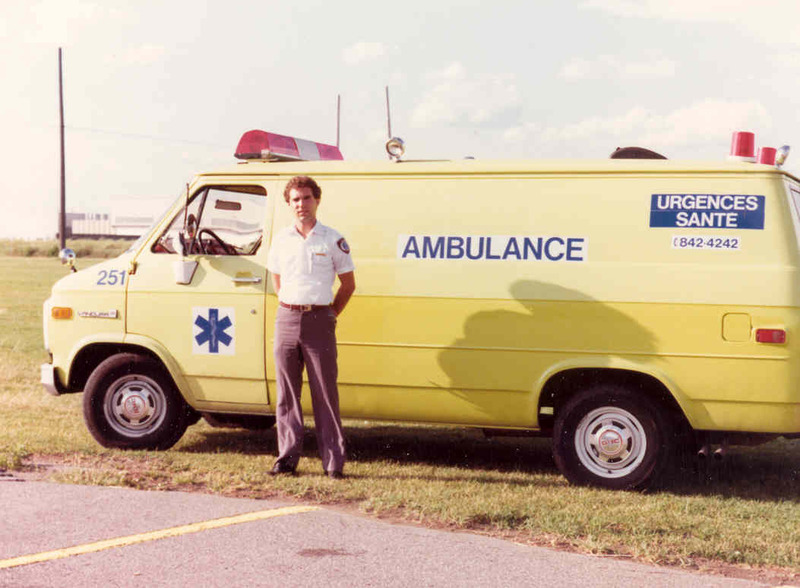 When their vehicle broke down willing volunteers found the nearest ambulance for hire in Brockville, Ontario and scrambled to bring it back to Cote Saint-Luc. When their second vehicle quit on them, they did it once again. Without urging, both the Tifereth Beth David Jerusalem Synagogue (the Baily Shul) and Bialik High School answered the call for assistance and prepared to receive large numbers of residents. The organization and level of care at these institutions is more than commendable. They opened and operated kosher shelters for 7 to 9 days under extremely difficult conditions, caring and comforting hundreds. They closed their doors to nobody. From seniors residences to NDG residents anyone in need found welcome and warm refuge in Cote Saint-Luc. Strangely enough, a woman who gave birth four days earlier by c-section was transferred from St. Mary’s Hospital, by ambulance, to the Baily Shul. Tender and understanding volunteers provided the new mother with a private room and all the attention she would require. People gave of their time and talents selflessly and generously. Boxes loaded with food, clothing and personal hygiene products were donated so that no one seeking refuge should be without any basic requirements. When a senior citizen at Baily was spotted without socks it took one phone call and just a few minutes before a kind neighbour showed up with a package of six new pairs of socks. A Muslim family observing Ramadan was given special treatment at City Hall so that the family could have a “privileged” sleeping and praying area and a small fridge to store their specially prepared meat. When Helen Steele of Texas saw what was happening here on CNN she packed a sleeping bag and boarded the first flight to Dorval, and upon arrival asked an RCMP officer where she might be able to help. She took a taxi to Cote Saint-Luc City Hall and worked for 6 days straight in whatever capacity she could. A couple of residents cooked up steaks and barbeque chickens for our EMS volunteers who had been living on pizza for seven days. Many families welcomed others into their homes only to leave together to another home and yet another. Shoppers shared cases of water and packages of batteries with complete strangers at the checkout. One shoveled the next walkway and another salted the driveway across the street. Le Mercaz prepared bags of food for those returning home from shelters and many, many more benevolent individuals and organizations assisted in vital areas. In the final analysis, we can be mighty proud of what our neighbours did to brighten the lives of so many in the dark. 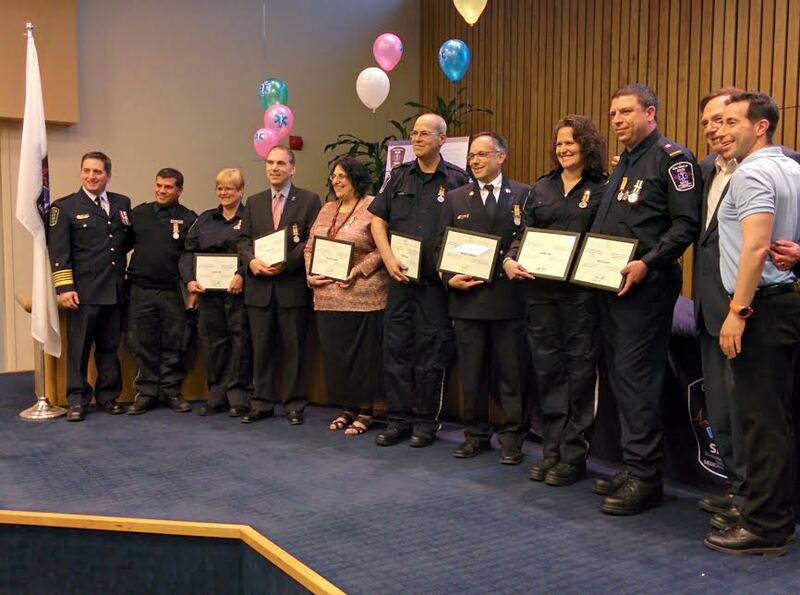 Through meticulous and sophisticated planning for all kinds of disasters by city officials to improvisation to ensure that every special need was looked after, we are incredibly fortunate to have extra special staff, kindhearted volunteers and wonderful neighbours in our community. I hope that we all learned something positive and rewarding from such a terrible experience and that the social fabric of our community, and indeed our entire province, will be more closely knit and tighter than ever before. After all, our future depends on it. We may have lost electricity but we never lost the power of community. 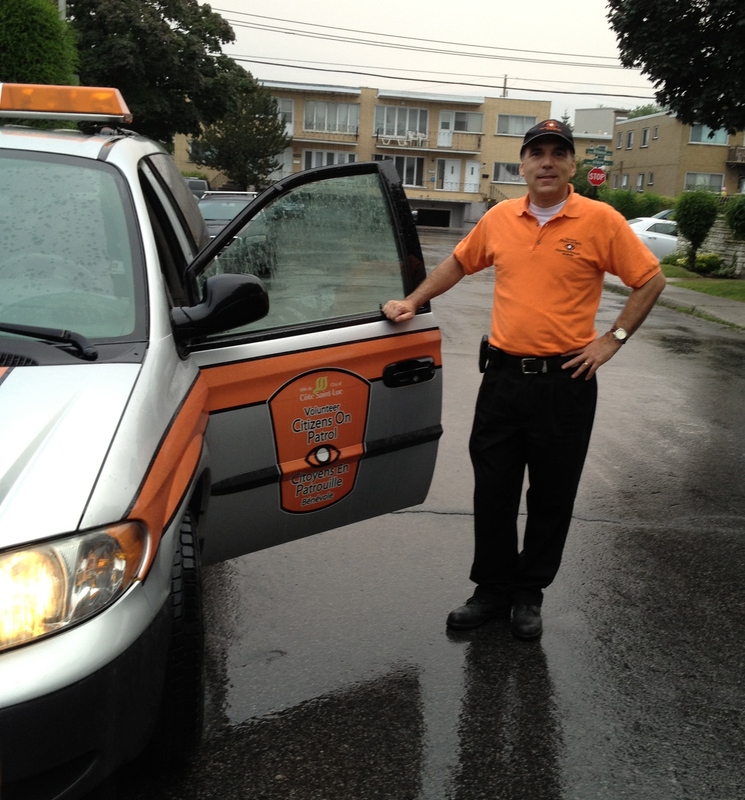 Glenn J. Nashen is a City Councillor in Cote Saint-Luc and an Emergency Medical Technician. He chairs the Emergency Services Advisory Committee and attended a course for elected officials at the Canadian Emergency Preparedness College. 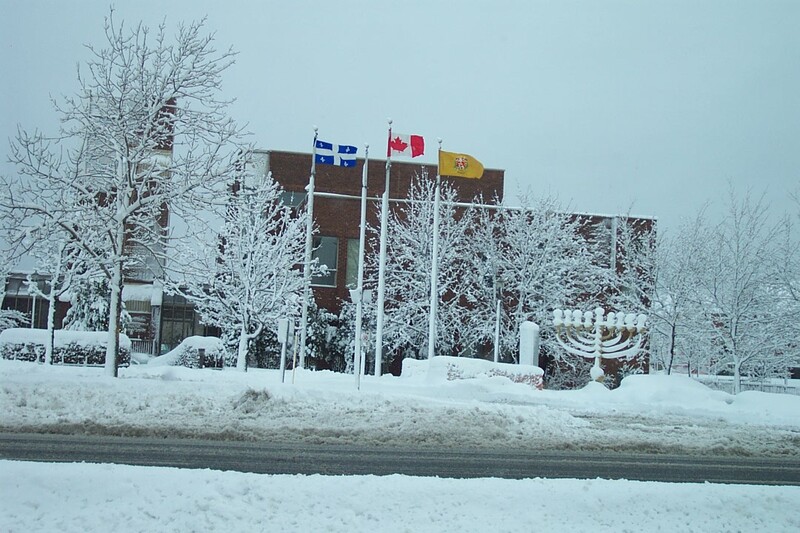 During the Ice Storm, Nashen was appointed as Information Officer for the City and assisted in the coordination of emergency shelters and volunteers.